On Saturday morning, October 27th, eight members of the high school book group, Bookmarked, met at school to head off to Baton Rouge to attend the annual Louisiana Book Festival. 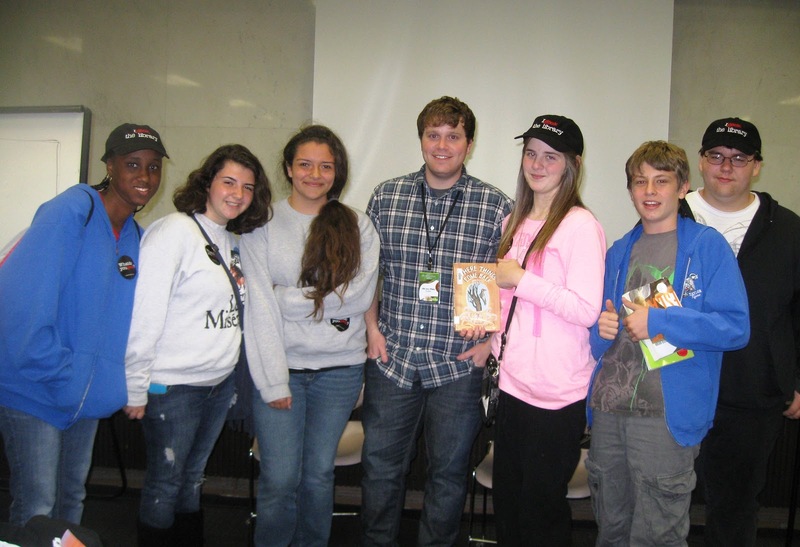 This was the first year that the festival committee had invited three authors of young adult literature to present. I thought it would be a great opportunity for the teens to see the state library, the state capital and immerse themselves into all things literary. The first event of the day was the award ceremony where author, Jennifer Brown, received the first ever Louisiana Teen Reader’s Choice Award for her book, Hate List. She made a delightful presentation and kept the audience laughing. Though she explained her inspiration for Hate List and that was not a light moment. She explained how she was mercilessly bullied for four years beginning when she entered middle school. 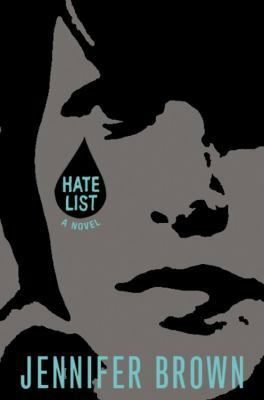 She began writing in 2000, but her first book, Hate List, was not published until 2009. The therapist in the book is modeled after her husband and the art teacher by her best friend’s mother. She has a second book, Bitter End, about dating violence that is not rooted in a personal story, but the idea for her third book, Perfect Escape, is based on the mental health issues that her siblings suffered. Several of the students ran out at the end so they would have time to buy Jennifer's book and get it signed. Love that. We had about a half hour for lunch before the next session that we were to attend. It took a while to enter the state capitol because we had to go through the metal detector. They didn’t ask you to take off your shoes like at the airport, but people were asked to take off belts, empty pockets and take off jewelry. It took several minutes for each person to walk through the door so there was a very long line. Anyway, when we got in, we walked directly to the senate chamber which turned out to be an awful venue for this kind of presentation, but the space is quite ornate and really beautiful with all the marble and the decorated ceiling. Corey Whaley was the interviewer and Walter Dean Myers was the interviewee and both were sitting below the audience. 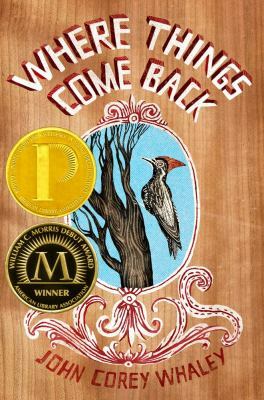 Corey won the Printz award medal for Where Things Come Back in 2012 and Mr. Myers won the very first Printz award given in 2000 for his book, Monster. Both are great reads. Mr. Myers talked a lot about the importance of education for everyone and that we need a society where people read. He believes that all young people need books and computers in their homes because without them the students’ education will be impacted in a negative way. He explained how his son his better educated than he is and because of that his son challenges him. He believes that is a good thing. I have a scheduled Skype session with Mr. Myers for September 2013. I think that it will be a good one! The end of the day was approaching, but we had some time to kill before the last session of the day that we were attending. Some of the students hit the exhibitor tents and others went to the state museum in Baton Rouge. I had never been to the state museum, and I was quite impressed. For the last event of the day, it was Corey Whaley again, but he was the author being interviewed this time. 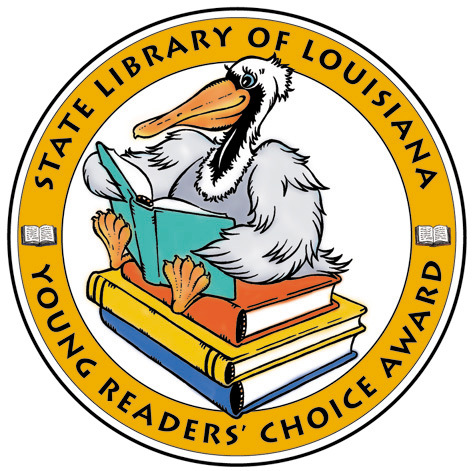 Stephanie Wilkes, Young Adult Coordinator for the Ouachita Parish Public Library in Monroe, Louisiana, was the interviewer. This was the most fun for me because Stephanie and I met awhile ago in the virtual world and face to face a handful of times. I first met Corey at ALA in 2011 and have run into him several times virtually and face to face as well. Corey explained how he wrote his book on a camping trip, and it took him four years to sell it. At that time, he was teaching school at the high school that he attended and really wanted to quit so that he could write full time. Though he finally sold the book in 2009, it wasn’t actually published until 2011. 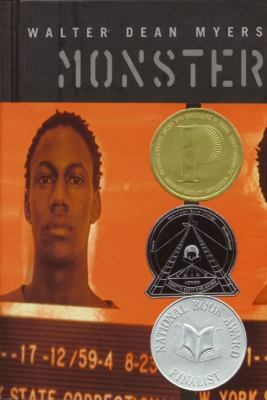 After the book is published, he wins two of the biggest awards in young adult literature: the Printz and the Morris. That was an amazing coup. He has finished his next book, but his editor said that he could not talk about it. I got Corey to pose with the kids and asked him if he would be willing to visit the school. I am going to cross my fingers that we can work something out after the first of the year. All in all it was a great day. I think that it was worth the hard work that it took to plan on how to get everyone there. Great Blog Post! Thank you so much for driving in from NOLA for the day with your teens. It really was a great festival. I enjoyed your student's questions to the author Jennifer Brown. I hope to continue to have teen offerings in the future. We are so there if you plan more teen events.